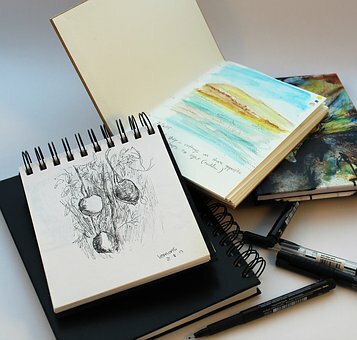 The Sketchbook Project, located in The Brooklyn Art Library, houses a unique collection of art: a collaborative library of sketches. Open to visitors, each sketchbook is cataloged and has a unique barcode that makes browsing easy. The Sketchbook Project is home to over 30,000 sketchbooks from over 70,000 contributors from 135 countries. People who are interested in contributing to the project can sign up on the library’s website. For those who can’t visit the physical library, digital copies of many sketchbooks are available online. The Brooklyn Art Library also offers a traveling version of their library collection.